Great Father Sun, you are the origin, the center, the focus, you are the constant. I see you as you cross the sky. I feel your warmth. You make the food grow and all life possible. Without you, we could not see. Without you, there would be no rain. When you light the sky above me, I see your power. At night you shine on our Mother Moon. Great Mother Earth, you are our source, our foundation, the root of all life on our planet. You give me a home. You give me air to breath, water to drink, and food to eat. You give me all that I need. Without you I would be dust and rock floating in the vast cavity of space. Mother Moon, you are the giver of life. You are the spark that lit the fire of life on Earth. Your touch tilted the Great Mother Earth and gave us seasons. Your pull creates the tides. Without you, the Great Mother Earth would be uninhabitable. I pray forgiveness for what we have done. I believe that you sought to have us progress forward, moving from beasts that were motivated by lust and desire, to creatures of intelligence and compassion that sought harmony and grace. Instead we have devolved back into beasts. We have brought on shame and failure to not only ourselves, but to all life. We have no excuse. We know what is proper, and what is not, but we have chosen to embrace the improper. Great Father Sun, Great Mother Earth, Mother Moon, I know the seasons are necessary for life, and I know, just as the seasons bring warmth in the summer and cold in the winter, so to the seasons of humanity wax and wane. This is a season of darkness for humanity, but I pray that you will intercede. The darkness of this season is hurting and killing the innocent, not the weak. Those of money and power seek to destroy, not build, and those who gave them power have failed as human beings and celebrate the destruction. Intercede for those who need you. Intercede for the honor of life. Intercede because it is the correct thing to do. Intercede because those who have intelligence know the danger of violent aggression and know that it is not the answer to battle the unethical, wicked, and stupid. Great Father Sun, Great Mother Earth, Mother Moon, it is time to act on our behalf. Remember it was all going to end in 2012? Remember the movie? It didn’t happen; however, we almost were hit with a worldwide disaster that scientists are just now confirming. On July 23, 2012, the a massive explosion took place on the Sun. 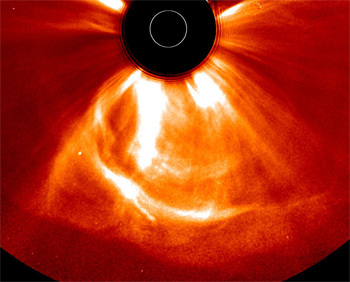 It sent two coronal mass ejections (CME’s) at Earth’s orbit that were 10 to 15 minutes apart. After almost two years of analysis, scientists have determined that those events were near the magnitude of two CME’s in the Fall of 1859. During the 1859 solar storm auroras were seen as far south as Hawai’i and electrified telegraph wires that sparked fires. Like the 1859 CME’s, the event of 2012, raced out from the Sun faster than a typical solar storm reaching Earth’s orbit the next day. Fortunately, Earth didn’t pass through that region of space for another nine days. The CME’s did hit the STEREO-A platform in advanced Earth orbit. This satellite and it’s twin, STEREO-B monitors the far side of the Sun. Data from its encounter with the major storm suggests that had the CME’s hit Earth, anything with wiring would have been in danger of an overload from the magnetic energy of the storm. Transformers would have blown and virtually everything plugged into the grid would have experienced a massive power surge. Fortunately, people have been planning for this possibility, which is why we now have multiple satellites monitoring the Sun’s every snap, crackle, and pop. Power and telephone systems based on wire transmission would be shutdown at the onset of a major solar storm. Unfortunately, that offers minimal protection for the consumer who would lose power, then be hit with a massive surge as wires became a conduit for the energy of the solar storm. A miss is a miss, and nothing significant happened from the solar event. Still, it was a shot across our bow, and we should keep in mind that awareness of space activity is critical. It’s not paranoia if the universe is out to get us. At today’s 9:00 AM press conference we announced the discovery of an alien craft found in orbit around our Sun. The orbital path of the craft was almost thirty degrees off the orbital plane of the solar system and was between Venus and Mercury at perihelion and extended out to near Jupiter’s orbit at aphelion. The long-deceased occupants of the ship were apparently from within our solar system on a planet they called Epsilon. As mentioned this morning, we are releasing the text of the most significant alien messages or logs that we recovered on a hand device inside the craft. 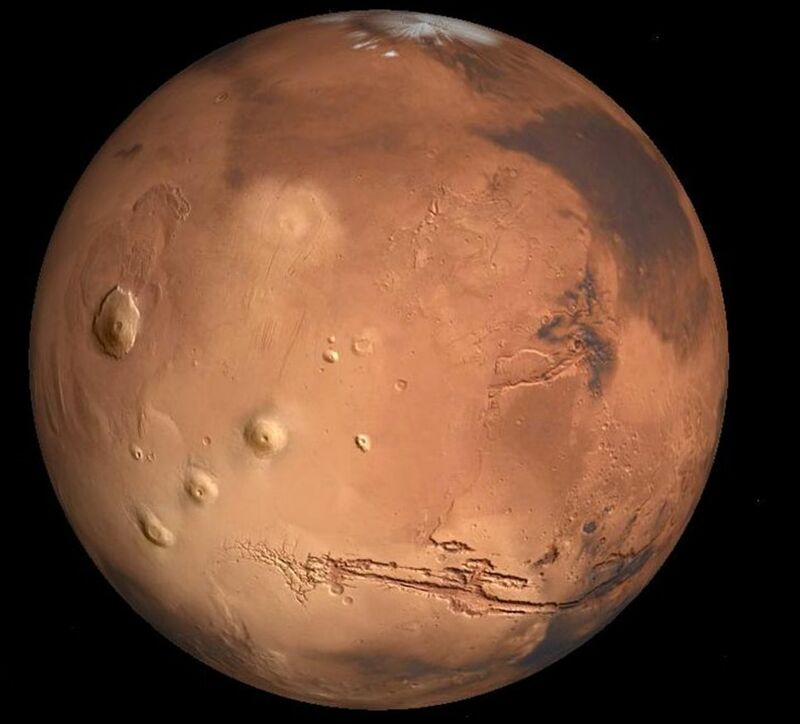 From what we can determine from the ship’s records so far is that Epsilon, located between Mars and Jupiter, exploded about 66 million years ago. The Epsilonian language is apparently the root language of English as the symbols and sounds are almost identical to English. The aliens were human in body type. Several of the occupants of the ship were found in a compartment that preserved their bodies. We believed these aliens died after their craft was damaged and the crew put them in an area of the ship without heat or air to keep them from decomposing. DNA testing has proven that we are related these aliens, although probably not directly to the occupants of the ship. According to what we have learned from their records so far, this ship was one of seven that attempted to reach Earth (named Gamma in Epsilonian) from Mars (named Delta in Epsilonian) after Epsilon exploded. 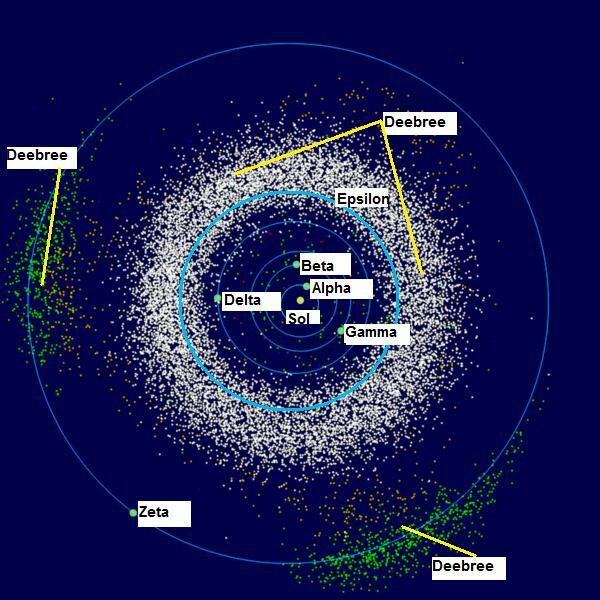 Remnants of the planet still exist in what we have come to know as the Asteroid Belt; however, most of the planet was scattered throughout our solar system and some larger fragments impacted on the other planets including Earth. The descendants of the aliens that landed on Earth must have survived for millions of years in small pockets until humans began to become dominant in the past 100,000 years. This ship was apparently the only one that did not make it to Earth. Image of Epsilon before it exploded. Recovered from the alien database. Below is the original text from the most significant messages we have recovered so far. Wee faild. Wee tride, wee tride agane, wee tride more, and wee still faild. Tu ue hoo reed this, I noe ue kant understand ar sarow. Pleese, here me. Fore ar brothers and sisters mae bee, likelee ar, yore fathers and mothers. If ue kan reed this then it is sertan ue ra, fore yore words kame from ar words. Wee wer from Epsilon, tha 5th world from Sol, but wee livd in ae kalonee on Delta, tha 4th world. 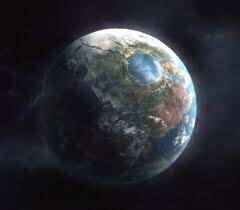 Now bothe worlds ar lost and all hope lies on Gamma, tha 3rd world. Let mee restart. Epsilon was tha sorse of life in tha Sol sistim. Ar world was bigger than Gamma and Baeta (tha 2nd world,) and much bigger than Dellta. All 4 worlds had firm ground and ae laer of gas, but Baeta, like Alpha (the 1st world) had noe likguid. Gamma, Dellta, and Epsilon had likguid, but Epsilon producd life and evold 1st. Epsilon was home but wee wantd tu xplore, soe wee lernd tu sore beetwene worlds. Dellta and Gamma had life, but not wise life. Ar peepel desided to kalonee on Dellta 1st. Wee had livd on Dellta fore almoest 50 orbits and preeparing tu kalonee on Gamma when disaster struk Epsilon. Ae flash that lit up ar erly morning skie on Dellta then faded. Epsilon was gon. Wee beeleve it was natural. Epsilon had plenteeful unstabil ellamints in tha krust. If those ellamints xtended into tha likguid rok beeloe, thae it koud hav gatherd tu ae kritikal mass and xploded with such forse tu destroy ar home world. Delltas orbit put it in tha Epsilon deebree flung toward Sol. Wee had onelee weeks tu evevakuate Dellta. With Dellta in sertan dume, ar hope was tu sore tu Gamma, but wee had noe kalonee ther. Wee had 7 ships availabel. 6 had peepel and 3 months of supplies eech. 1 ship kaireed ar teknolojee. That ship held ar soring masheens, ar komemunikashun eekwipmint, shelters, and everee thing needed tu restart ar sivilliesaeshun. 6 ships made it tu Gamma. 1 ship, ar ship, did not. Ar ship was tha last tu leve Dellta. Deebree from r home world hit ar ship. It disstroyd ar injin kontrol. Ar injins flamed until wee had noe fuel. Ar orbit touk us abav tha planit orbits, around Sol, then in an eeliptikal orbit out past Epsilon and back tu Sol. Of ar 16 crew, 7 hav survived 2 orbits, but ther is noe hope. Wee noe longer can reepair our eekwipmint and ar air sistim will fail sune. Wee hav watchd as ar broekin world has reekd havoke. Tha rimnants of Epsilon tore thru tha Sol sistim and miny larg fragmints inkluding 2 of Epsilons moons ar still in unstaebel orbits that will evinchuelee hit another world or Sol. 4 massiv fragmints hit Dellta kreeating majore fire mountans spewing out likwid rok. It is terning tha world inside out. Tha impakts of tha fragmints pushd Delltas gas in tu spase and chaengd its axis by 25 dagrees. Oever 1000 peepel wer left on Dellta and thae ar all ded. Gamma survived thanks tu its Mone. A storem of deebree hit tha bak side of the Mone, but 1 larj fragment did hit tha Gamma. It filld tha air with fire and ash and tilt the axis almoset as much as Dellta. Kondishuns fore our peepel mae not bee sirviveabel. ….differint fore Eta. Ae larj fragmint and sum fine deebree, posieblee likwid from 1 of Epsilons oeshuns was sent towards Eta. The fragmint tilted Etas axis and tha fine deebree went in tu orbit around Eta. 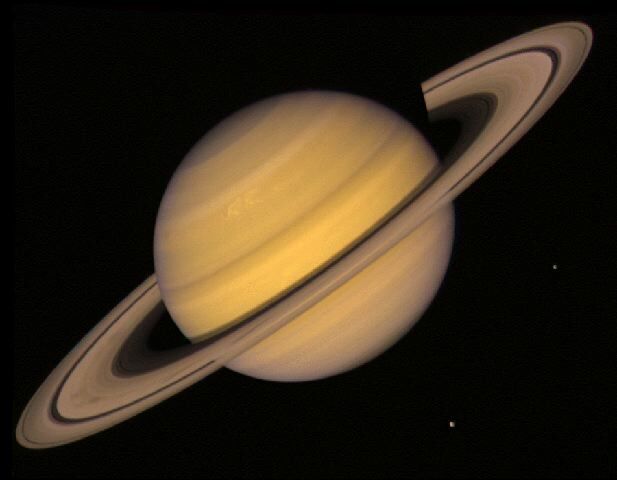 It seems tu bee forming ae ring strukchure around Eta. …..(text was not recoverable) Wee had kontakt with tha moset of tha ather ships until their power faild. Thae must restart ar race without all tha teknalogee wee karee on r ship. 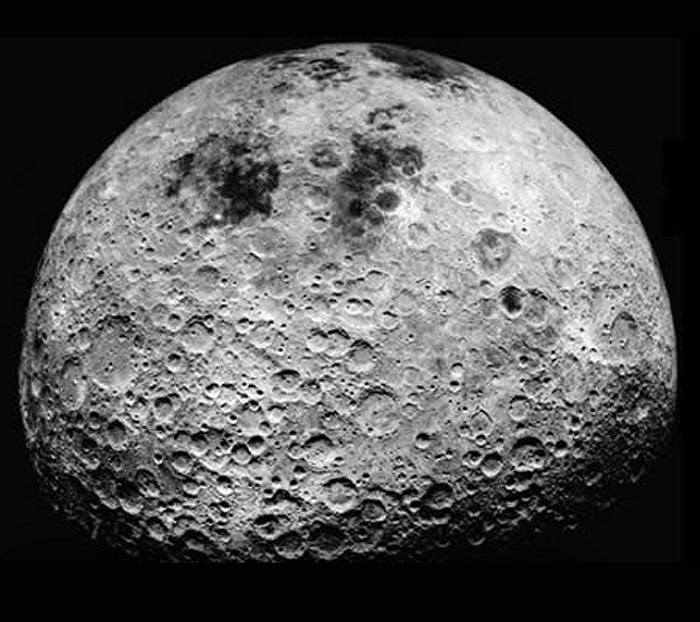 It mae bee hundreds of orbits, mae bee longer beefore thae kan sore aegaen. This message will not bee red until long after wee ar gon. 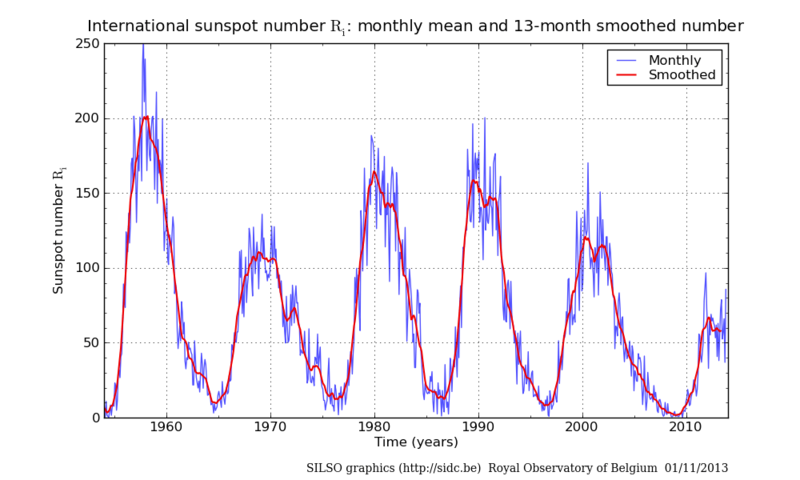 Why Should We Care About Sunspots Anyway? 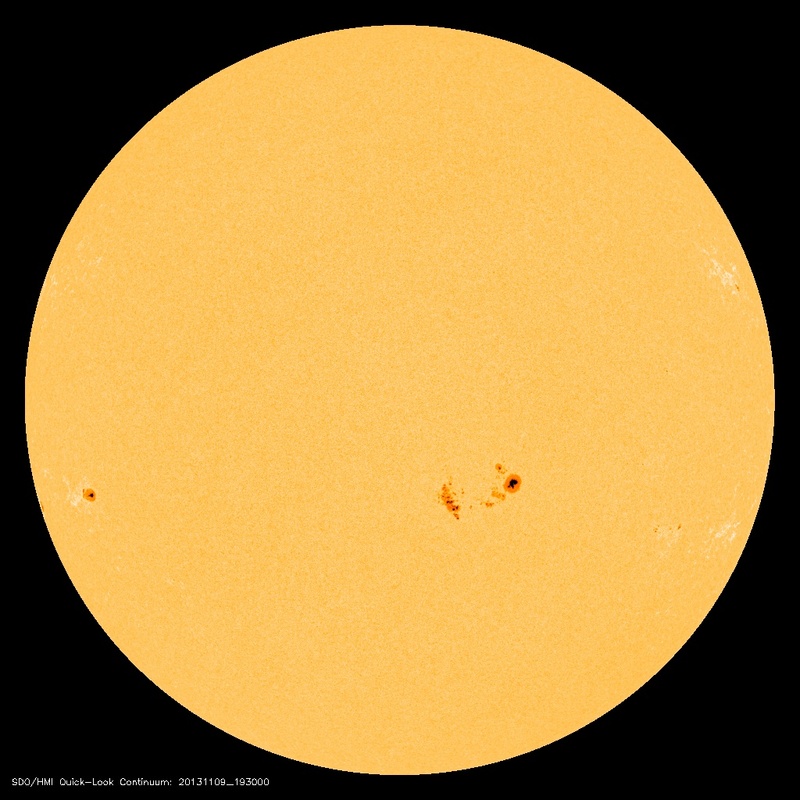 Why Should We Care About Sunspots Anyway?. Parents need to be excited about science if they want their students to be excited and engaged. This blog is dedicated to help parents get up-to-date on science through an exploration of science topics. 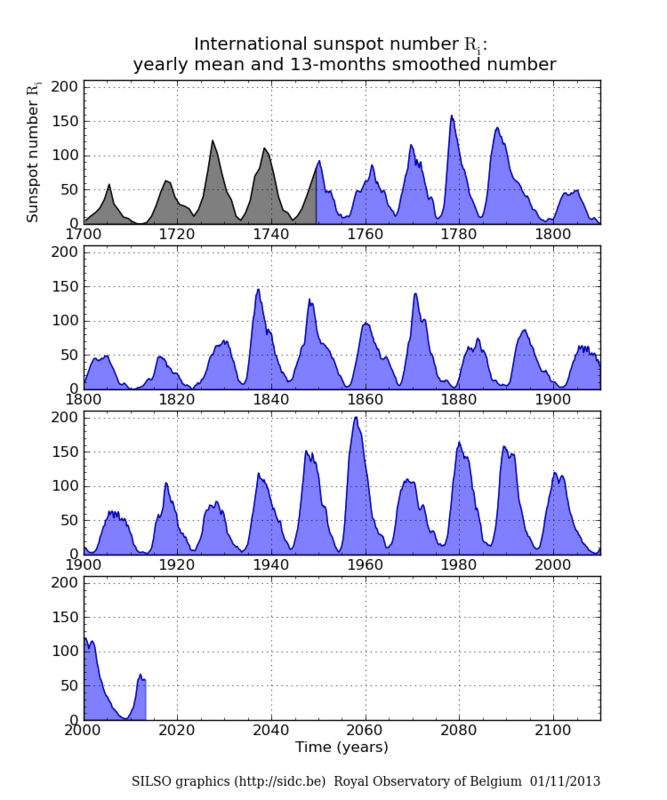 This article explores the significance of the dynamics of the Sun and how it impacts Earth and humans. 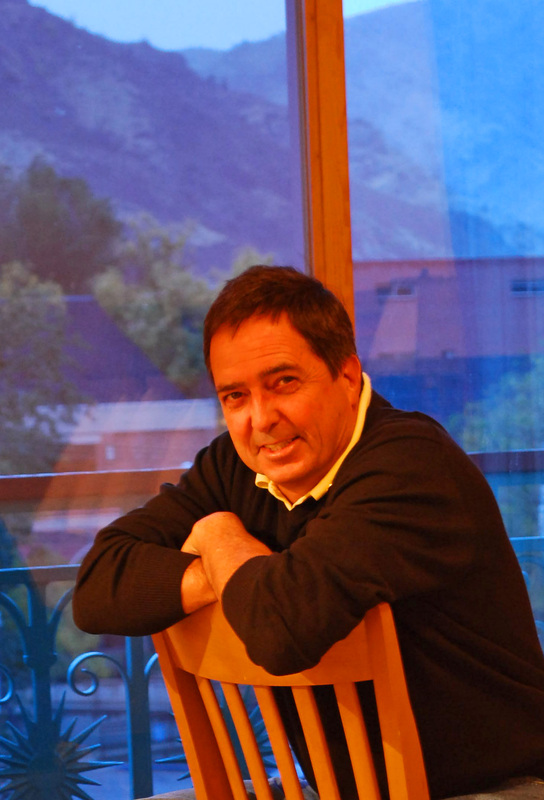 For me, the New Year really begins today (December 22, 2010.) Being a science geek at heart, I tend to see the world slightly different that many and I see the day after the Winter Solstice as a rebirth. Yesterday was the shortest day of the year, so from now until June 21st the days will get longer and that is cause for celebration. In addition, for the next two weeks the Earth is still getting closer to the Sun. 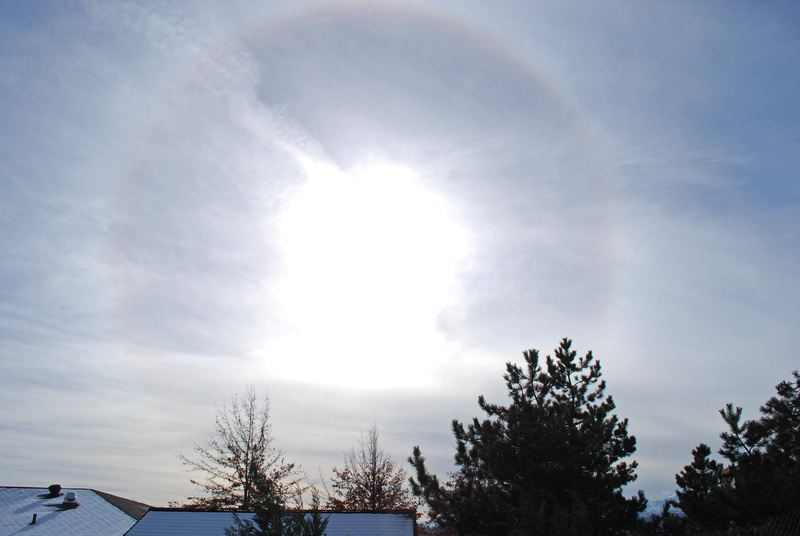 This year the perihelion (Earth closest approach to the Sun) occurs at 11 AM PST on January 3rd, 2011. 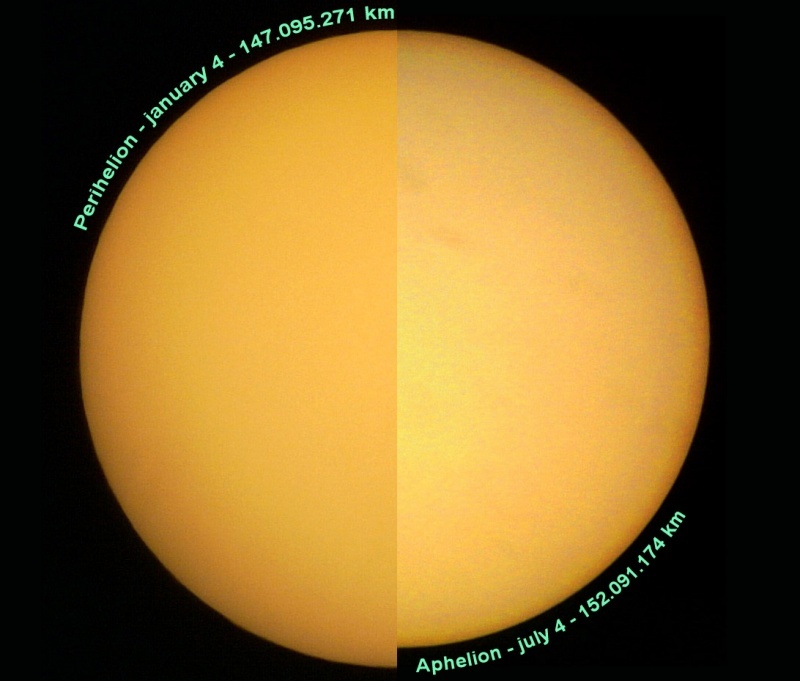 Sure, it’s a relatively minor difference between perihelion and aphelion (Earth’s farthest distance from the Sun), but it’s still a 3 million mile difference! In the cold and dark of winter I’ll take being even one mile closer to the Sun. From now until January 3rd we’re getting closer to the Sun AND the days are getting longer. The fact that Christmas and New Year’s (and Hanukkah in some years) all fall in the same two week period tend to overshadow the science, but it does not diminish that, from an astronomical point of view, there is also good reason to be of good cheer. That is, of course, for those of us in the Northern Hemisphere. For our friends south of the Equator today marks the march toward darker days that peak just before the Earth is the farthest away from the Sun. That just doesn’t seem to be as uplifting as our situation. Maybe we shouldn’t say anything to them. So Happy New Year to all of us in the Northern Hemisphere. Brighter, longer days are coming! For our friends in the Southern Hemisphere, uhm… man, is it hot out or what!